Back again In The Home of The Great American Song Book! Well, I am out of the cold weather of New Jersey and enjoying the warmer environment of the California desert. I have been here only a few days but have already seen and heard my good friend and outstanding trumpet player, Steve Madaio at the Blu Ember. Steve is at the Blu Ember every Sunday from 5:00 pm to 10:00 pm so if you are in the area, why not stop in and hear Steve and his group. If you do, you are sure to hear some of my top 20 greatest songs ever written being played. There's lots of live music out here, and I will be posting some reviews for you in the upcoming days. According to an article published in the New York Times on January 7, 2010 music industry sales fell 12.5% in 2009. These poor results bring the total drop in sales since 2000 to an amazing 52%. In addition, many of the major music retailers like Virgin and Tower have closed their doors making it more difficult for people to find and buy new CD products which only will add to the decline in sales in upcoming years. WHAT'S REALLY WRONG WITH THE MUSIC INDUSTRY? The music industry's position is that the Internet and the ability to easily download music, either legally or illegally, is the root cause and they probably are right for the most part. However, in my opinion the music industry is missing out on a very large market for their CDs with an audience they are paying very little attention to. I strongly believe that there is a large audience out there that still prefers to buy their music in CD format rather than deal with the Internet. However, the music and performers they want are not the same as the performers and music the music industry is pushing out. This audience wants standard-type music with great lyricists performed by both new and old artists. As proof that my belief has validity, just look at the number 1 & 2 best selling CDs in 2009, one by Taylor Swift and the other by Susan Boyle. Why were these the top selling CDs in the country in 2009? One reason was that they were both given great exposure and promoted by the music industry and second, both CDs contained some really good music and lyrics. It seems to me that if the music industry wants to increase the sale of CDs, "its most profitable product," they should be doing more to provide exposure for this kind of performer and music. If they spent more marketing dollars to target this market, they would sell more CDs because the majority of consumers that like this music, buy CDs and not Internet download. Taylor Swift and Susan Boyle are not singing "rap music" and they certainly are selling a lot of CDs. Hello? This seems like a logical solution to stop the slide in CD sales. What Is The Real Problem For The Music Industry? 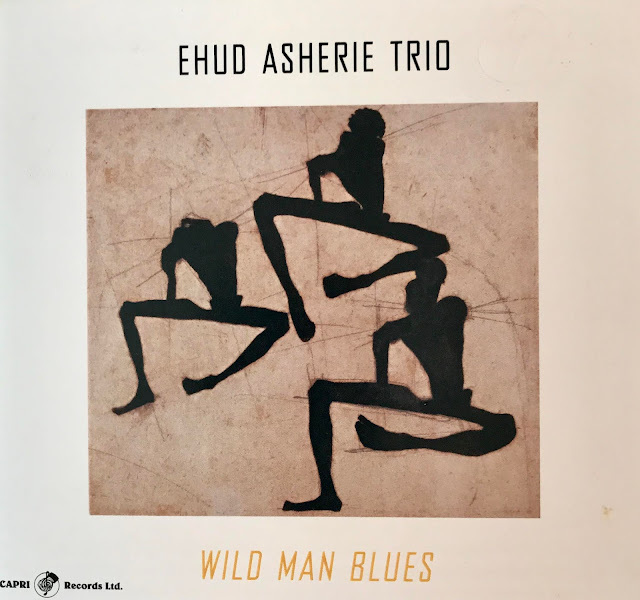 CD Review: The Ehud Asherie Trio-"Wild Man Blues"
'Someone To Watch Over Me"
"All Things Are Possible For Those Who Believe"
"God Only Knows What I'd Be Without You"
"If a Picture Paints a 1000 Words"
"Love Being Here With You"
Does the Noise in My Head Bother You? Ken Schaphorst. "How To Say Goodbye"
Randy Porter Plays Cole Porter.